Refine your look with the modern sophistication of the John Varvatos Collection™ Slim Fit Leather Jacket. Slim fitting style goatskin leather coat. Chest flap pockets with snap closures. Product measurements were taken using size 50. Please note that measurements may vary by size. 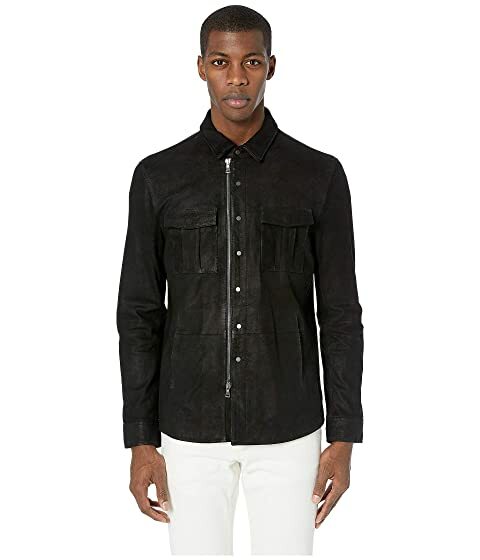 We can't currently find any similar items for the Slim Fit Leather Jacket L1205V1 by John Varvatos Collection. Sorry!